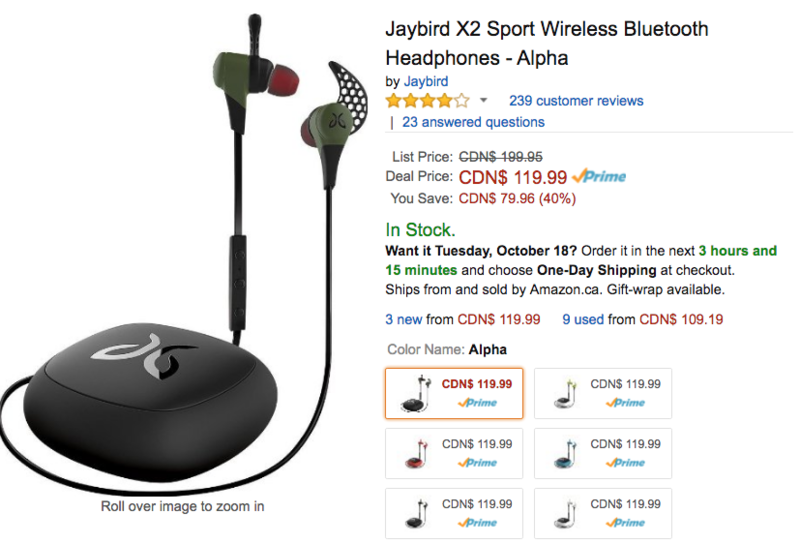 If you’re looking to get some wireless headphones, the popular Jaybird X2 Sport Wireless Bluetooth headphones are on sale for 40% off on Amazon.ca at $119.99 (save $80), with free shipping and Prime eligible. 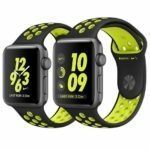 According to price tracker CamelCamelCamel, the price right now is the lowest its ever been on Amazon.ca. At this price, the Jaybirds come in at $100 less than Apple’s upcoming AirPods, plus have 8 hours of battery life and a lifetime warranty against sweat, plus comes with various ear tips for a snug fit. People seem to love these for their versatility and great sound, plus they have an included mic for phone calls. Oh, and they seem to stay in your ears during runs! The sale has been vetted by the price hunters at RFD, so you know this is a good deal. Click here to jump on the Jaybird X2 Sport Wireless Headphones while they are still on sale.